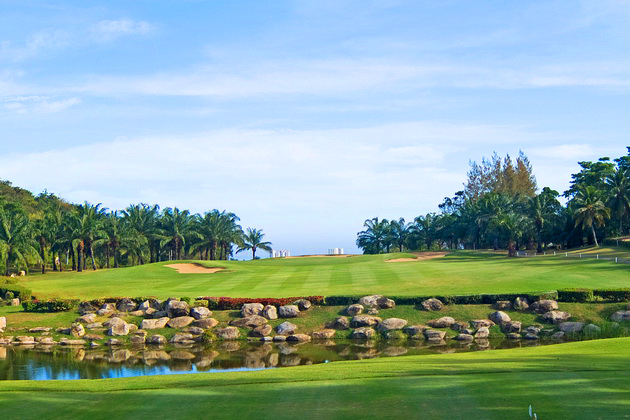 Located to the north of Hua Hin, Palm fringed fairways and rolling hills gave Palm Hills golf course its name. Being one of the easier courses to play, Palm Hills has a Scottish “Links” feel with undulating terrain flanked by two lakes at each end and rock formations and the clubhouse in the courses’ center. 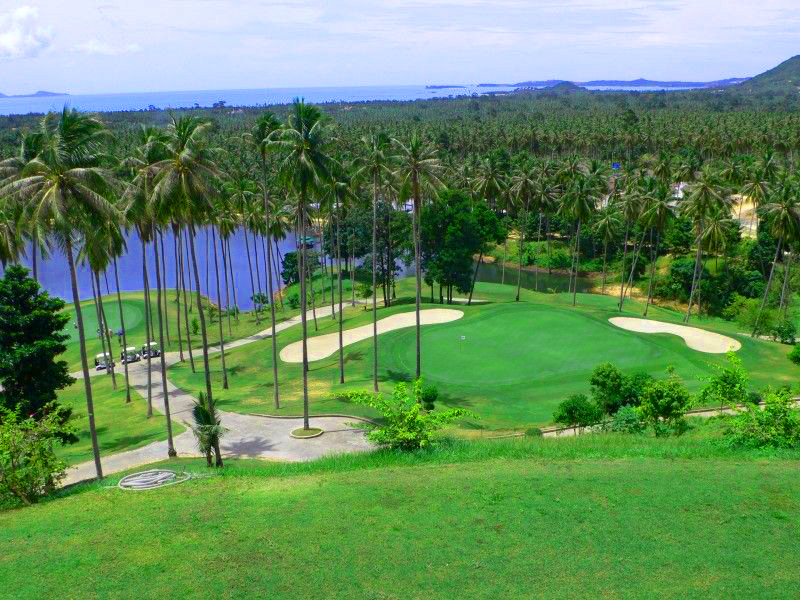 Stunning ocean views from the back 9 holes can be admired due to their elevated location. considered some of the fastest in the area with bunkers and water hazards strategically placed around the greens. 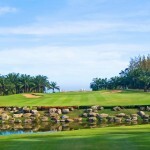 The 11th hole is the signature hole, a par-3 going uphill with a challenging distance. The facilities include practice areas, clubhouse with pro shop, locker rooms and restaurant offering reasonably priced food. The Palm Hills sports club offers residents and members an array of sports facilities including free-form swimming pool, tennis courts, badminton and squash facilities for recreational enjoyment. many of which are over 1 Rai (1,600 sqm) and designed in various architectural styles from traditional Thai to contemporary. There are a number of resale opportunities of older homes. 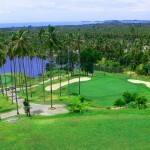 Palm Hills Golf Club also features a number of older and newer condominium units. While the units of the first phases are spaciously designed and offer great views across the fairways and ideal spectator positions of the daily golf games, the newer units feature contemporary design and are located within private enclaves in the center of the course. Land is still available for those who prefer to build their own home and lot sizes range up to two Rai (3,200 sqm) with the average plot being 1.5 Rai (2,400 sqm).